The Brego Foundation Featured on Fox News! The Brego Foundation is dedicated to the rescue, rehabilitation and retirement of former racehorses and raising awareness of the plight of “the unwanted horse”. 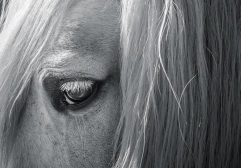 Our goal: drive proactive change in the horse/human relationship. We provide each horse a rehabilitation path to second careers as powerful teachers and healers in our community service programs and outreach programs to veterans and addiction recovery. Our horses come to our Northern California facility through a number of ways; from outright rescue to owners permanently retiring their horses with us. 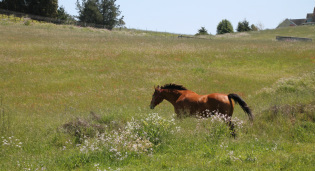 They retire at Tabula Rasa Ranch, a ten acre facility in Sebastopol California. The successful transition of our own rescued off the track thoroughbred, and his entry into his new career as equine guide, has confirmed a life long belief we have held: horses can have a profound impact on the healing of humans if given the chance. The staff at The Brego Foundation has worked with many populations over the years that will significantly benefit and heal through our work with horses. We have found that when the common denominators of healing and recovery exist in within a structured format, profound transformation can occur. We provide provide a number of community service programs to populations most in need. 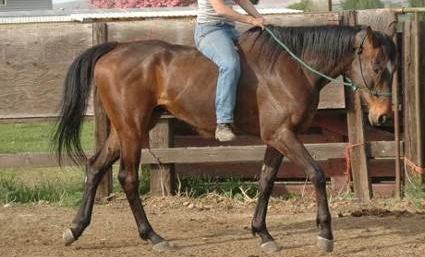 The rescue of one racehorse created a vision and a passion for collaborative healing and the restoration of the horse/human partnership. Watch the video below to see this journey unfold.